Dr. Susan T. Fiske (Harvard University PhD; honorary doctorates: Université catholique de Louvain-la-neuve, Universiteit Leiden, Universität Basel) investigates social cognition, especially cognitive stereotypes and emotional prejudices, at cultural, interpersonal, and neuro-scientific levels. Author of over 300 publications and winner of numerous scientific awards, she has been elected to the National Academy of Sciences. Sponsored by a Guggenheim, her 2011 Russell-Sage-Foundation book is Envy Up, Scorn Down: How Status Divides Us. Her most recent book is The HUMAN Brand: How We Respond to People, Products, and Companies (with Chris Malone). 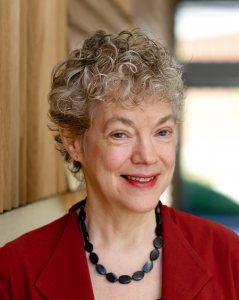 With Shelley Taylor, she wrote four editions of a classic graduate text: Social Cognition, and solo, three editions of an advanced undergraduate text, Social Beings: Core Motives in Social Psychology. She currently edits for Annual Review of Psychology, PNAS, and FABBS’s own Policy Insights from Behavioral and Brain Sciences. She earlier edited Social Neuroscience, Beyond Common Sense: Psychological Science in the Courtroom, the Handbook of Social Psychology, the Sage Handbook of Social Cognition, and Facing Social Class: How Societal Rank Influences Interaction. Her graduate students arranged for her to win the University’s Mentoring Award; international advisees arranged for her to win the Mentoring Award from the Association for Psychological Science. *FABBS would like to thank Dr. Janet Ruscher and Dr. Robert Feldman for nominating Dr. Fiske for this honor and for leading the effort. Would you like to honor Dr. Fiske? It’s not too late to have your name added to the list of donors! You can make your donation to Dr. Fiske’s In Honor Of… campaign at anytime.